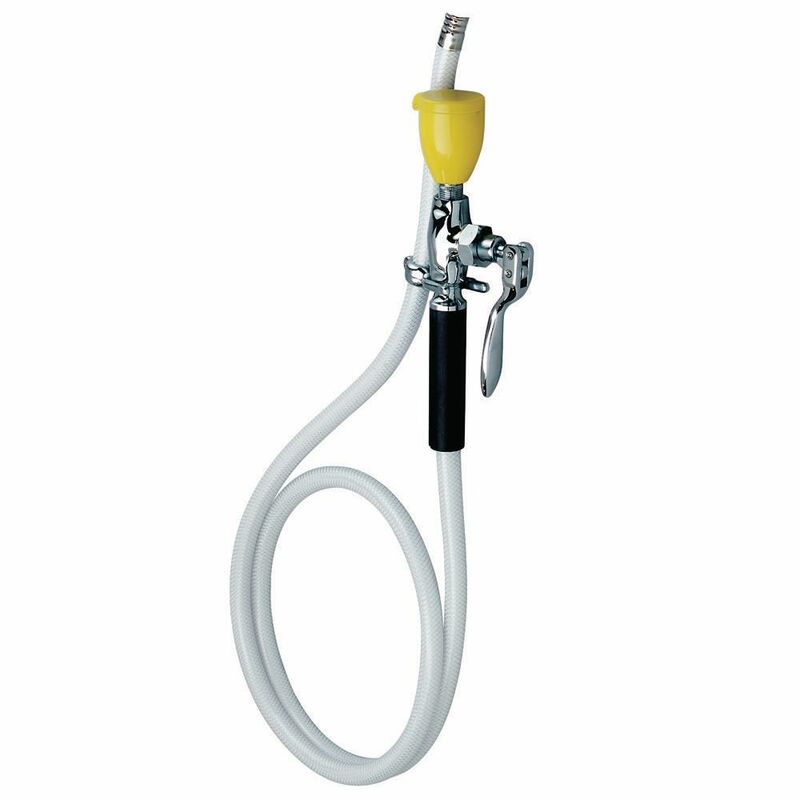 Speakman® Drench hose and eyewash combinations provide great flexibility in laboratories and other industrial areas for flushing the eyes and body. All units come standard with a flexible hose, making an ideal product for direct flushing on contaminated areas. Model SE-920 is a wall mounted drench hose featuring one aerated spray outlet and a 6' hose. The unit also features a self-closing valve and hook for the drench hose.